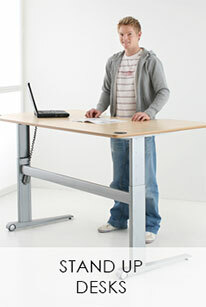 Standing Desks are becoming more popular as more and more newspapers and television reports point us towards the dangers of sitting for too long. 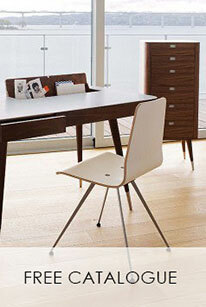 Prolonged sitting will increase the risks of diabetes and other cardiovascular deseases. So we need to reduce the chances of obesity and early death by increasing our metabolic rate and thereby improving our health. 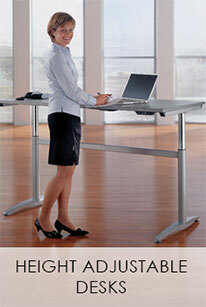 Consider a Height Adjustable Standing Desk today. In recognition of the fact that not all occupations are the same, the new generation of sit stand desks are designed to be as adaptable as you are. 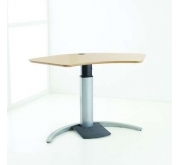 Items such as the Conset sit stand desks can be chosen according to the amount of weight the desk is intended to bear and the level of stability which is required. 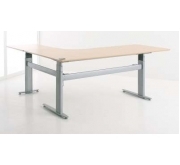 A smooth, motorised system usually allows sit and stand desks to be lowered or raised to exactly the right level for your needs at particular time. More basic models may have manual lifting components. 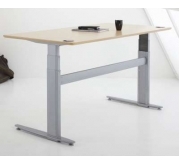 For many office furniture purchasers, the concept of standing desks is a new one. 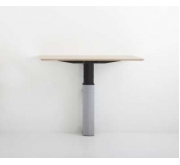 Luckily, at Somercourt we have amassed a wealth of experience as sit stand desk suppliers, which we are happy to share with you. 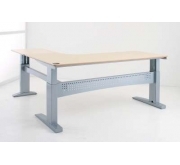 On our website you will find plenty of information on the advantages of variable height work stations, which have been shown to improve health as well as provide excellent flexibility for roles where a range of different tasks are required. 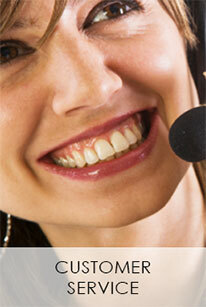 We are also happy to advise customers by email or phone, so please get in touch if you need more information. 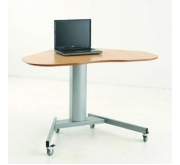 Why Not Try Standing Computer Desks? 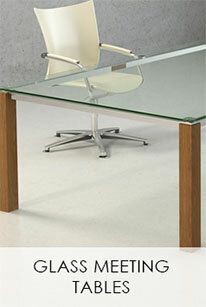 Or Height Adjustable Meeting Tables. 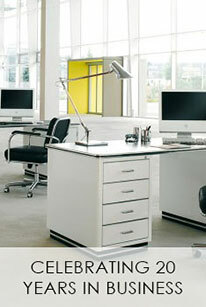 Many offices are now switching to standing computer desks, for healthier, more efficient working. 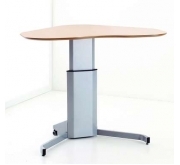 Products such as the E:Lift sit stand desks offer a good range of height levels and can be effortlessly altered using a quiet, motorised system. Beautifully styled with clean, contemporary lines and a range of colours, they are an ideal choice for many different office environments. 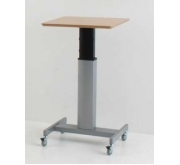 To buy sit stand desk items from us, you can either order online using our straight-forward system or phone us to let us know your requirements.